Rugby games are where I first learned my appreciation for knee socks. 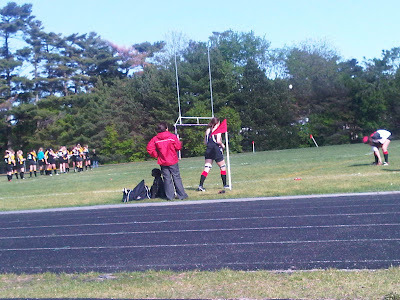 I took a look at my hideous black and red rugby uniform I wore in grade nine and remember thinking to myself that at least the socks could be fashion. I went to a game today at my old high school. I have not been there in five years, and not one thing has changed. We are still creaming the rival catholic high school and our girls still play hard. Here are a few shots from the game! New bag!! 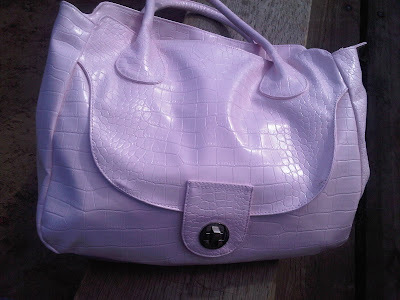 I got a different one in a lilac, this one is a light pink. I am not supposed to be shopping because I have to make car payments but they were at a unique designer boutique in a small town for around 40$ each and I fell in love! They are nice bright colours for spring. The rugby game. The girl in the teal sweater has her hands over her head because she knows she's going to lose to my team in the black and the red. The score at this point is 22-0. He used to play football for the same team my high school is destroying at rugby! Na na na na na na. His sunglasses are RayBan, mine are Ralph Lauren. Close up of a necklace I got at a small boutique in Ottawa. 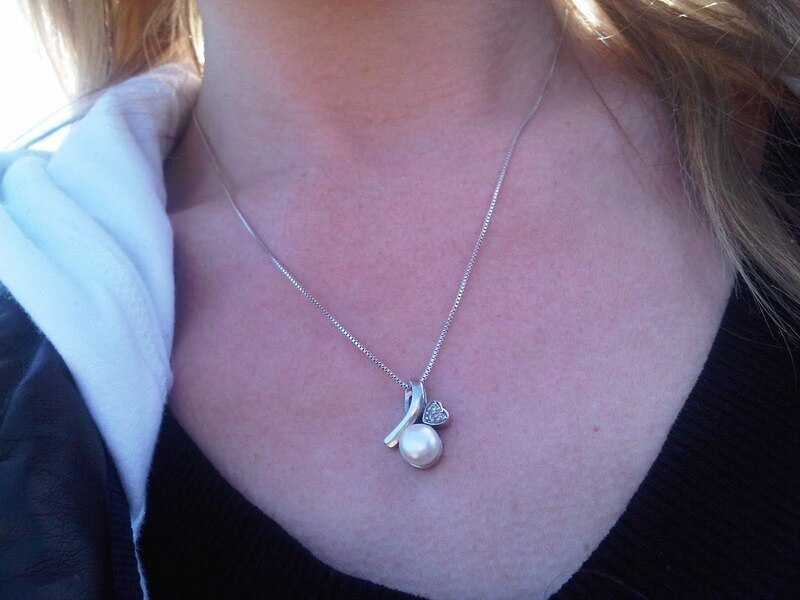 Pearl, diamond, sterling silver. Super old boots! I got them for $40 and I have worn the crap out of them so I am surprised they are still holding up. 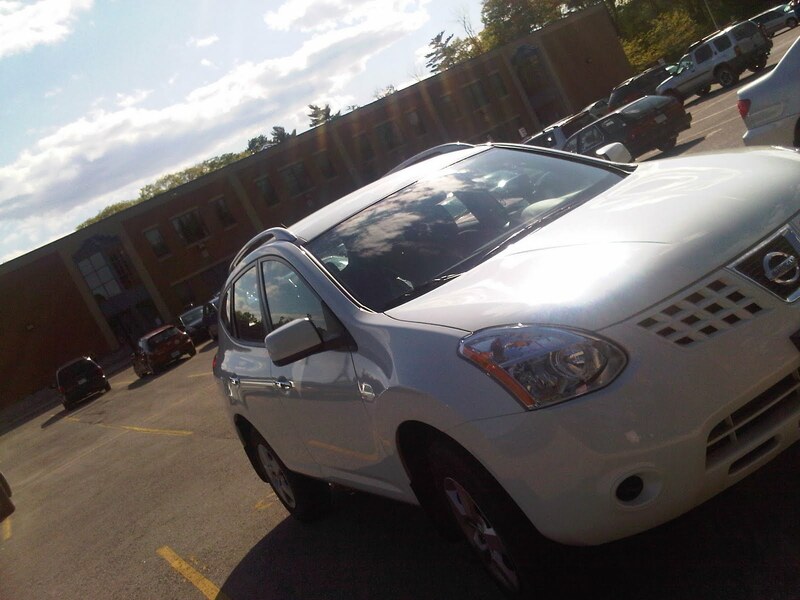 Another picture of my beautiful car and my lame old high school!! Glad to be far away from those days to be honest. Talk about sheep when it comes to fashion! Hat - Some hat store? 10$... or it might have been cheaper. I am in LOVE with your bag!!! Great outfit! And your bag is so cute! Love the color. Cute outfit!!! 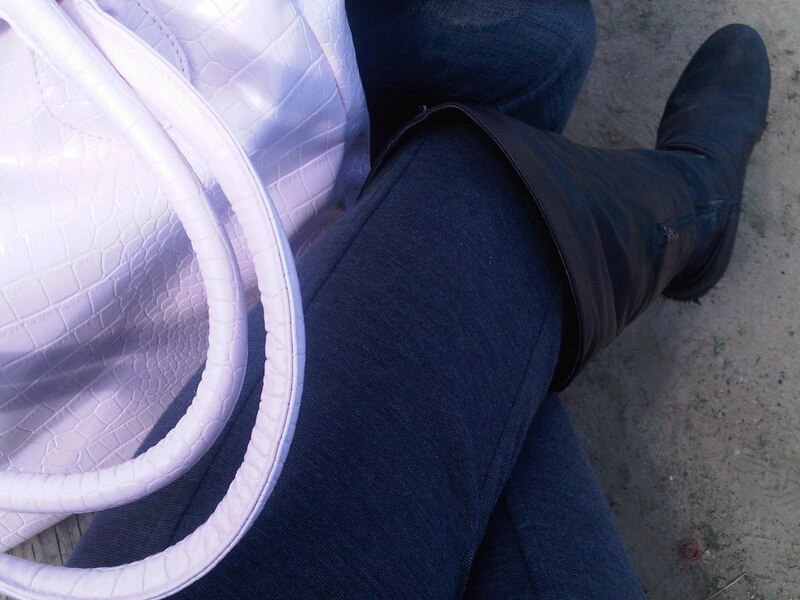 I really like your bag too!! 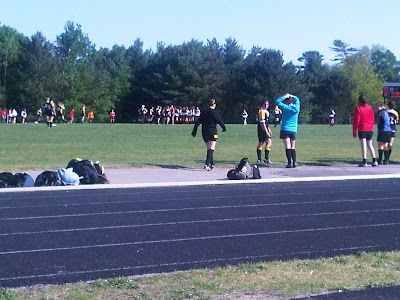 I used to play Rugby in high school too :) I still have my jersey and wear it at the cottage.